As much as we might try to fight our cravings, most of us have a weakness for candy. Especially when the candy reminds you of childhood, both in flavor and branding. For candy brand Swedish Fish, invoking a certain level of nostalgia comes easily. Being the original, and number 1, fish-shaped candy in the world, the candy has built a cult following. As the official candy of Discovery’s Shark Week, Swedish Fish created a family-oriented brand activation at zoos and aquariums across the US. 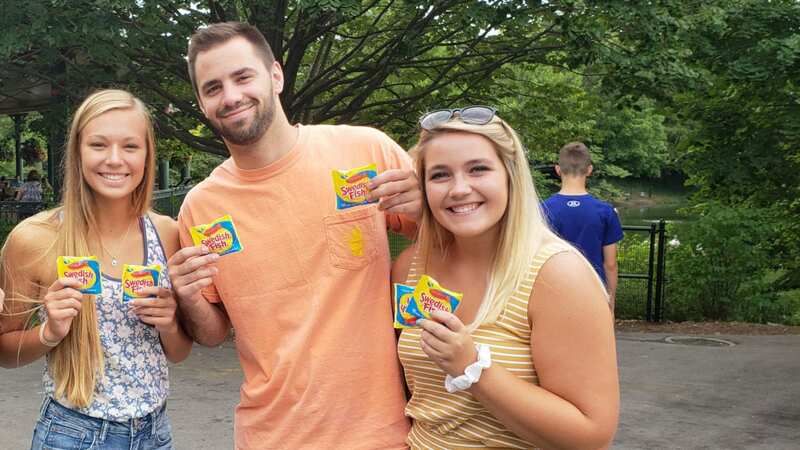 In addition to having a fun 3D floor graphic using a custom Swedish Fish Snapchat filter, the activation featured Elevate Staffing brand ambassadors who passed out samples and educated passing consumers about the newest Tropical flavor.